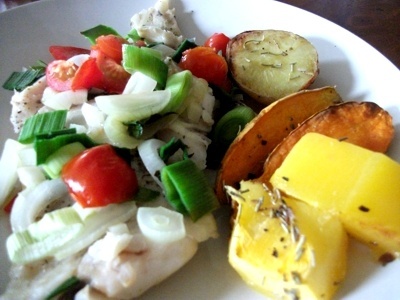 For our collection of easy fish recipes our family buys fish fresh from the weekly market. 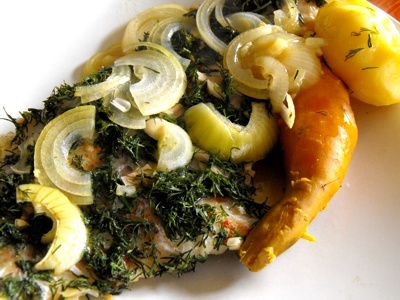 Recipes include smoked fish, whole fish, fish fillet, marine fruits, and canned tuna. 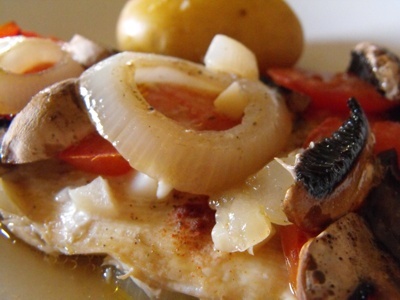 Some fish varieties are particularly rich in fatty acids omega-3 and omega-6 as well as being great sources for in particular the minerals selenium and phosphorous and the vitamins B6 and B12. Since the body often absorbs these nutrients better when they are part of our daily food, rather than through supplements, fish belongs into our weekly menu. The market offers a wide selection on fresh fish. 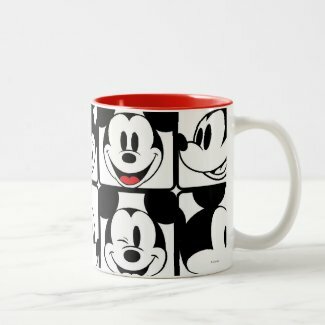 Some are seen every week and some are available only every other time. Fish like kahawai, mullet, dory, patiki, mirror dory, snapper, trevally, parore are available whole and still have to be gutted. 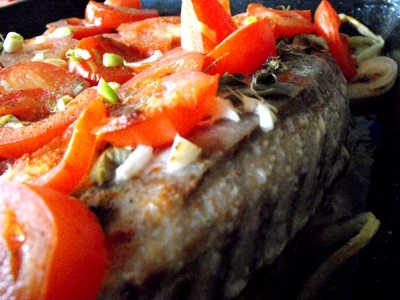 The fish gutted, descaled and spiced can be grilled or baked. Larger fish like salmon is often available as pieces of a fillet and swordfish is cut into large round fish steaks. A range of fish fillets are available for those who are not used to being eyed by what is on their plate or simply dislike hands smelling of fish and the scales skipping around the kitchen. 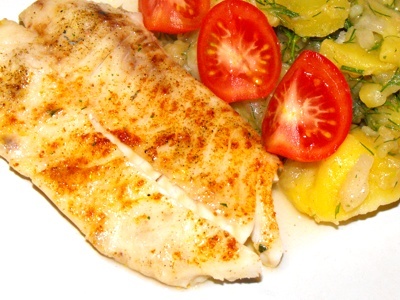 Fish fillets or steaks are great grilled, pan-fried or baked. 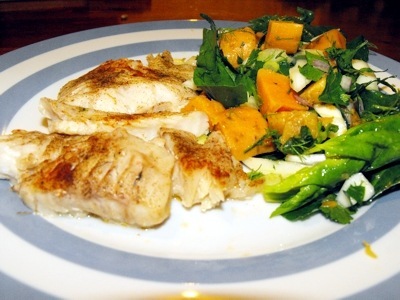 Personally I get the more attractive easy fish recipe results by baked fish fillets. A few years ago, kids from poor areas in France were asked to draw items of food. For a chicken, they drew a drumstick. For a fish, they drew a fish stick. Those are extremes, but there is a lot that needs to be done to help children discover good food. Other delicacies available are bags filled with fish heads. I used to wonder what they would be used for. The answer came in a book on "How to Cure Tooth Decay" with nutrition. In this book fish broth is credited as a nutrient rich base that helps to re-mineralize teeth. 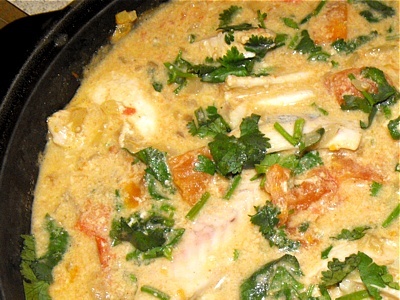 The base is used for fish soups or fish stew recipes. A fish broth is made of fish heads that were freed from gills paired up with onion, carrot and celery spiced with salt, pepper, bay leaf, thyme and clove. Mussels, squids, fish roe, prawns or kinas can be seen from time to time. We tried some of these marine fruits, but only prawns appealed to my taste in a cheese sauce on top of spaghetti. Prawns are quite versatile to use in a soup, on a homemade pizza, or added to rice dishes. Sometimes we are lucky and find smoked fish like Jack Mackerel. That’s our favourite and it goes well with potato salad. Left over smoked fish tastes great in a rice salad the following day. It goes well as a main dish accompanied by tasty home baked bread. 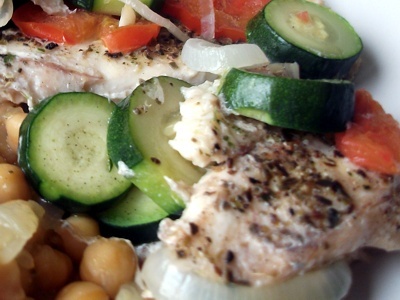 Added to a green side salad the smoked fish is just as great. Our second choice is smoked kahawai. On special occasions even smoked salmon is available which means a treat. When there is no fresh fish to prepare any of your favourite easy fish recipes at hand canned fish is a good substitute. By taste and texture we like tuna fish tinned in spring water. It finds its place in a tuna fish pie, as a pizza topping or as an additional ingredient in a salad. Please use the FB plug-in to comment and this form to build a page about your favourite fish recipes with up to four pictures to document it. The fish industry did a very efficient job with its fish catching methods. This catapulted many species at the brink of over fishing and onto the red list. Different international and regional organisations formed to remind on more sustainable fishing methods with less destruction and by catch of other marine inhabitants like seals and seabirds. We found some regional links that lead to straight forward consumer advice. 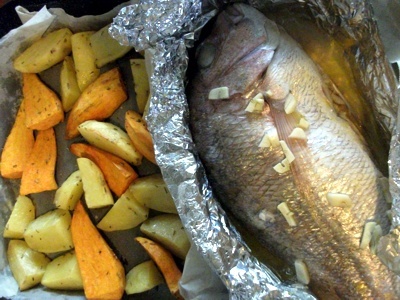 Do you have a special fish recipe?